Luckily you don’t have to wait for someone to implement this missing feature. You can do it yourself! Google has an entire platform dedicated to helping you extend the functionality of the Google Assistant, by defining custom actions. Compared to other Google products and services, the Google Assistant platform still feels relatively new, and unlike the crowded mobile app scene, there’s still lots of opportunities to create Actions that feel completely different to everything else currently on the market. 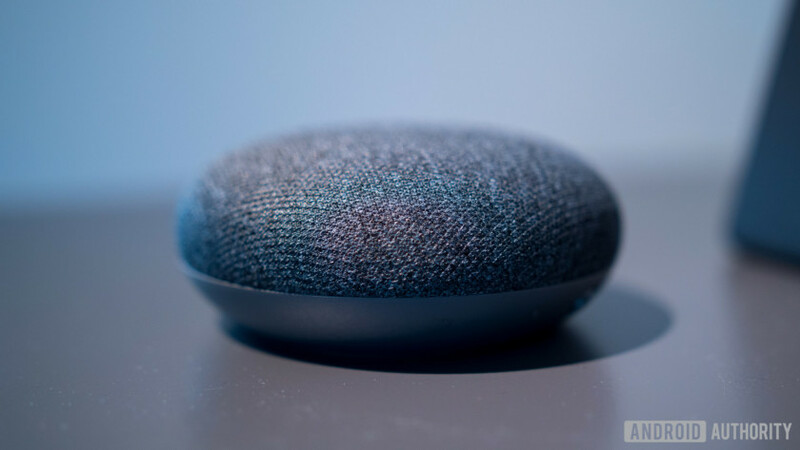 If you take a look at the Google Assistant Actions directory, you’ll find some interesting Actions third parties have developed for Assistant and Google Home, but it’s far from an exhaustive list! Let’s look at how to build a complete Google Assistant Action. By the end of this article, you’ll have created an Action that asks the user various questions, parses their responses, and then extracts specific pieces of information, which it then uses to personalize the conversation and drive it forward. We’ll be building a bad joke generator action that learns the user’s name, and finds out whether they want to hear a cheesy joke about dogs or cats. An Actions project- This is where you’ll manage, test and publish your Action, and perform admin tasks like guiding your Action through the publication process. A Dialogflow agent- This is a web-based service you’ll use to integrate your Action with the Google Assistant. You’ll use this agent to define how users interact with your Action, the parameters Dialogflow should extract, and how the conversation should progress. Head over to the Actions on Google Developer Console and log in with your Google account. If this is your first visit, then follow the instructions to create an Actions on Google account. When prompted, select Add/import project. Rather than pick a category, select Skip. In the Console’s left-hand menu, select Actions. Select Add your first action. Choose the language(s) in which your Actions directory listing should be displayed. Click Update. Select Custom intent, followed by Build. The Dialogflow Console will launch in a new tab. Review this information, and if you’re happy to proceed, then create your Dialogflow agent by clicking Create. Every conversation has to start somewhere! Whenever you create a Dialogflow agent, a Welcome intent is generated automatically, which represents the entry point into your Action. Static. If your Action always responds in the same way, you can provide a canned response as plain text. Dynamic. You can use a webhook, also known as a fulfilment, to figure out the relevant response and send it back to the Google Assistant, and ultimately to the user. Select Intents from the Console’s left-hand menu. Position your cursor over the Default Welcome intent text, and give it a click. This launches Dialogflow’s intent editor. Scroll to the editor’s Response section. Delete all the pre-populated stock responses, by hovering over each response and then clicking the Trash icon. Click the Add responses button, and select Text response. Next, we need to make sure our Dialogflow agent can identify which part of the user’s response is the required name parameter. This means providing examples of all the different ways that someone might provide their name. When it comes to understanding and processing language, Dialogflow’s natural learning understanding (NLU) engine does a lot of the heavy lifting, so you don’t have to list every potential response. However, the more training phrases you provide, the greater your chances of a successful match, so try to be as thorough as possible. In the Console’s left-hand menu, select the little + that appears alongside Intents. At the very top of your screen, give this intent the title create_name. Click to expand the Actions and parameters section. Next, we need to define an entity, which will be responsible for extracting parameter values from the user input. Dialogflow has a pre-defined “name” entity you can use, so start typing @sys.given-name, and then select it from the subsequent dropdown when it appears. Make sure the conversation doesn’t progress until Dialogflow has learned the user’s name, by selecting Required. Click Define prompts and provide a few follow-up phrases for the Assistant to repeat until it gets the necessary information, such as “Sorry, I didn’t quite catch your name! Can you repeat it?” If at any point the user gives an unexpected response, our Action will cycle through these prompts, until it manages to extract the correct parameter. When you’re happy with the phrases you’ve entered, click Close. Click to expand the Training phrases section. In the Add user expression field, enter “My name is John” and then press the Enter key. By default, Dialogflow should recognize “John” as the required parameter, and assign it to the @sys.given-name entity. Select @sys.given-name:name from the dropdown. Still in the intent editor, click to expand the Fulfilment section. Drag the Enable webhook call for this intent slider to the On position. Save your changes, by scrolling to the top of the screen and then clicking Save. Select Fulfilment from the Console’s left-hand menu. Push the Inline Editor slider to the On position. Deploy your webhook, by clicking the Deploy button. Dialogflow will now provision and deploy your webhook code on a managed environment, using Cloud Functions for Firebase. This may take a few minutes, depending on the speed of your Internet connection. In the above code, “name” refers to the parameter we defined in the intent editor. Make sure you’ve enabled the necessary permissions, by heading to the Activity controls page and checking that the Web & App Activity, Device Information and Voice & Audio Activity sliders are all set to On. Back in the Dialogflow console, select Integrations from the left-hand menu. Find the Google Assistant card, and select Integration settings. If you encounter a Check auto-preview setting dialog, leave Auto-preview changes enabled. Select Test. Dialogflow will now upload your agent and launch the Actions Simulator in a new tab. In the Suggested input field, type “Talk to my test app” and press the Enter key on your keyboard. Type your name, and press Enter. Dialogflow should now address you by name! Select Intents from the left-hand menu. Hover over the create_name text, and select Add follow-up intent when it appears. Select Yes from the dropdown menu. Repeat the above steps, but this time select No. Select the create_name – no intent. Click to expand the Responses section. Since we’ve said our goodbyes, find the Set this intent as end of conversation slider, and drag it to the On position. Scroll to the top of the screen, and then click Save. Select the create_name – yes intent. Select Entities from the left-hand menu. Click the Create entity button. Select Click here to add entity. Similar to training phrases, you need to enter a few synonyms representing the different ways that users may indicate they want to hear a joke about cats. After typing each synonym, press Enter. Select the subsequent Click here to edit entry field. Enter “Dog” as the reference value, and then add some synonyms. In the left-hand menu, select Intents. Under Training phrases, enter “Dog” and “Cat.” Dialogflow should recognize these values, and map them to your catOrDog entity. Unleash your best bad jokes! Click to expand the create_name intent. Hover over the create_name – yes follow-up intent, and then select Add follow-up intent. Select Custom from the dropdown. Select your intent, which launches the intent editor. In Entity, start typing “catOrDog,” and then select it from the dropdown when it appears. Nobody will want to continue talking to our Action after such a terrible joke, so enable the Set this intent as end of conversation slider. Repeat the above steps, to create your cat intent, and that’s all there is to it! The only thing left to do is fire up the Actions Simulator and see how the Action handles the various responses. This Action may be straightforward, but it demonstrates many of the tasks you’ll perform over and over when creating your own Actions. You can take these techniques for learning the user’s name, extracting parameters, delivering static and dynamic responses, and training your Dialogflow agents, and apply them to pretty much any Action project. If you decide to develop Google Assistant Actions that do more than deliver a couple of bad jokes, share your work with others and submit your Action for approval! Will you develop for the Actions directory? Let us know in the comments below!